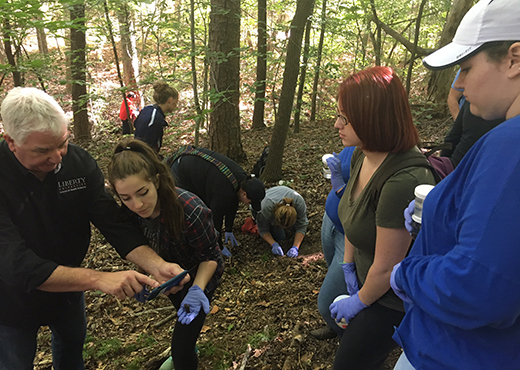 mcclintock named top 15 dna analyst in u.s.
Students learning how to process a crime scene which included sample collection and storage methods as well as how to properly document evidentiary samples. 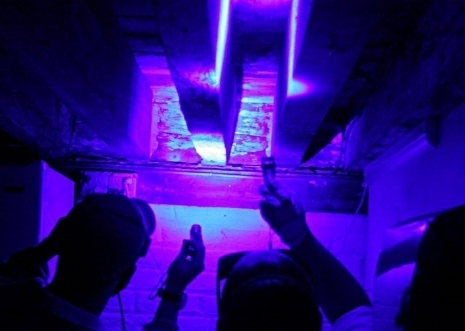 Dr. McClintock searching for blood stains under the rafters of a American Civil War field hospital using Luminol and an alternate light source (ALS). Samples were collected and subjected to DNA analysis. The resulting male DNA profiles were consistent with mixtures and corroborated historical accounts of the numbers of wounded soldiers treated at the field hospital at Sailors Creek (Rice, VA), the last battle of the American Civil War. Article is published in the Journal of Forensic Identification.